Twitter Wednesday introduced Twitter Insiders, a single destination for brands and agencies to fill their research needs. Twitter Insiders are 16 and older, have an even spread between genders and come from a representative distribution of Twitter users’ locations in the U.S. and the U.K. and socio-economic backgrounds. She added that Twitter Insiders is currently available to “select brand and agency partners,” and each of those partners received “a fixed number” of small- and large-scale research products per quarter, saying that brands and agencies interested in becoming partners should contact their account managers. Tap Twitter Insiders at any time to test creative ideas, gather honest input and uncover market insights. These real-world consumers enable researchers to observe people’s actual behaviors instead of taking survey responses at face value by using techniques such as online focus groups, video diaries or eye-tracking glasses. The resulting qualitative, quantitative and social data give agencies and their clients an inside edge when making business decisions. Whether you’re putting together the perfect pitch for a new client or you’re optimizing a campaign that’s already in motion, the ad hoc research Twitter Insiders enables is a powerful tool for agencies. When online, Twitter Insiders are always available–so they’re ideal for performing fast, continuous research. Our short-term projects take as little as few days to bring back actionable results, opening opportunities for unplanned research. Twitter Insiders also help you to test insights from social listening tools and the lab out in the wild. So instead of launching campaigns and waiting for results to come in, you can evaluate customer perceptions while ads are live on Twitter, and fine-tune the message as you go. For more in-depth research, Twitter Insiders and their CSpace consultant counterparts make what was once a very resource-intensive undertaking more accessible for a variety of uses. Consultants design custom studies, recruit from specified user groups and report data on behalf of agencies and their clients. Scoped for four to six weeks, these research initiatives are ideal for understanding the behaviors of different groups at various points along their customer journey. Research activities can be tailored for different audience segments and reveal how perceptions change over time and based on exposure. Long-term studies like these are a particularly powerful tool to leverage when entering new markets. Understanding the competitive landscape and refining your positioning can make the difference between a product that thrives and one that never finds its place in people’s lives. 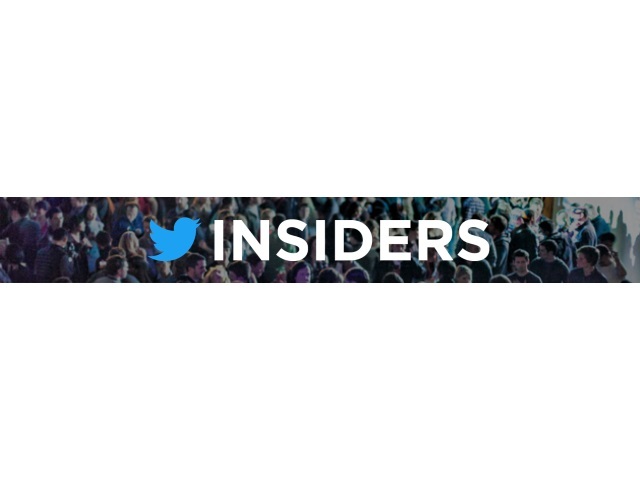 Readers: What are your initial impressions of Twitter Insiders?